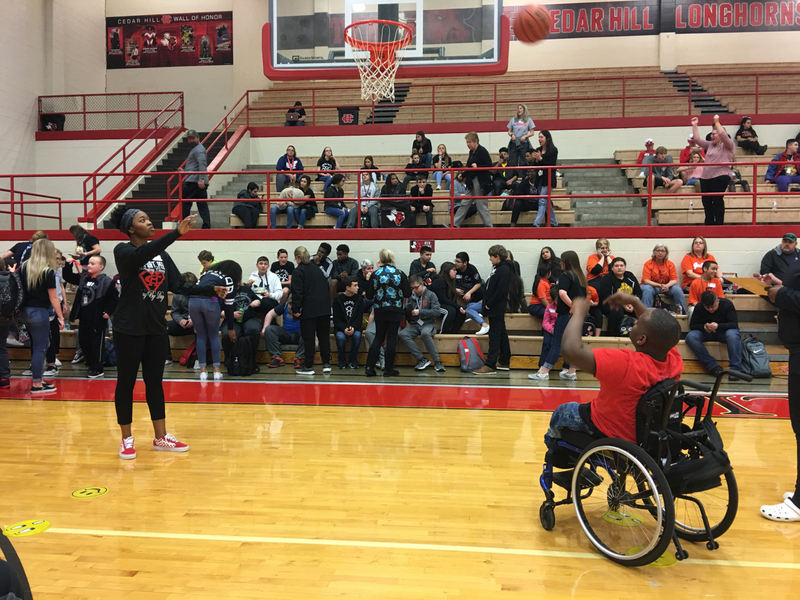 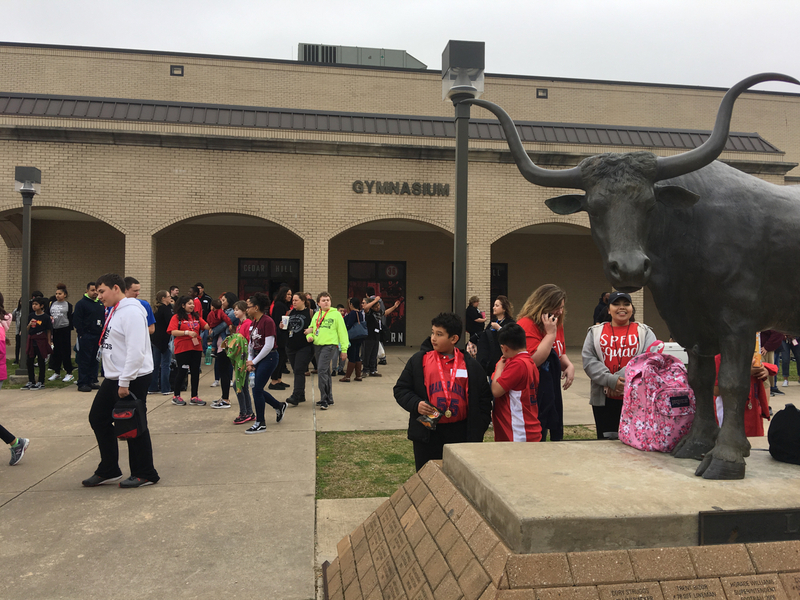 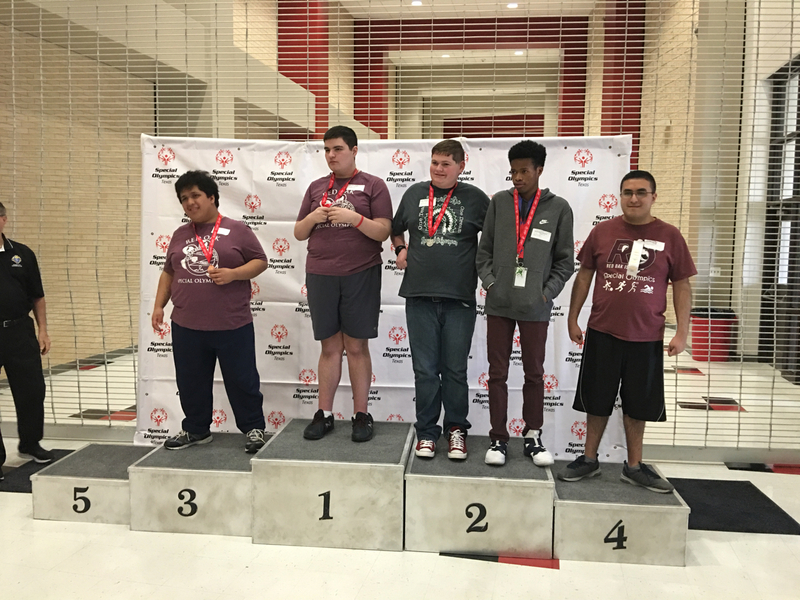 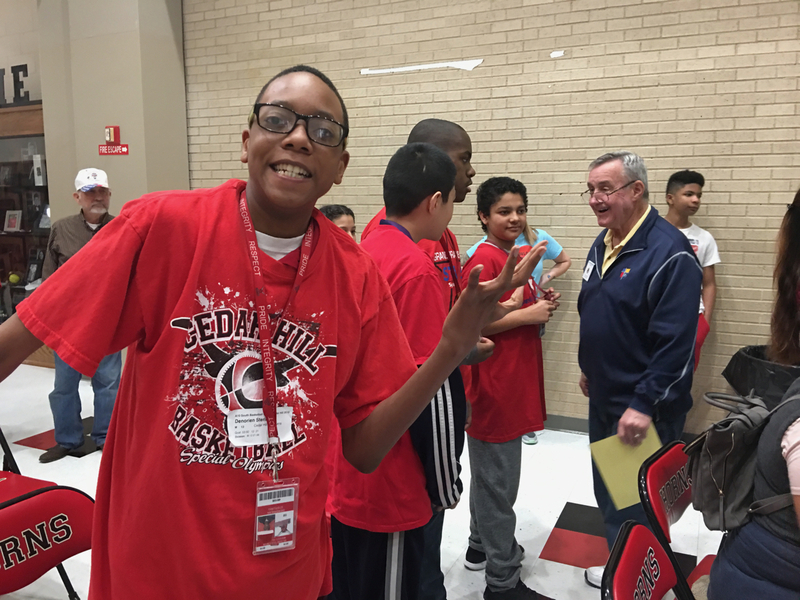 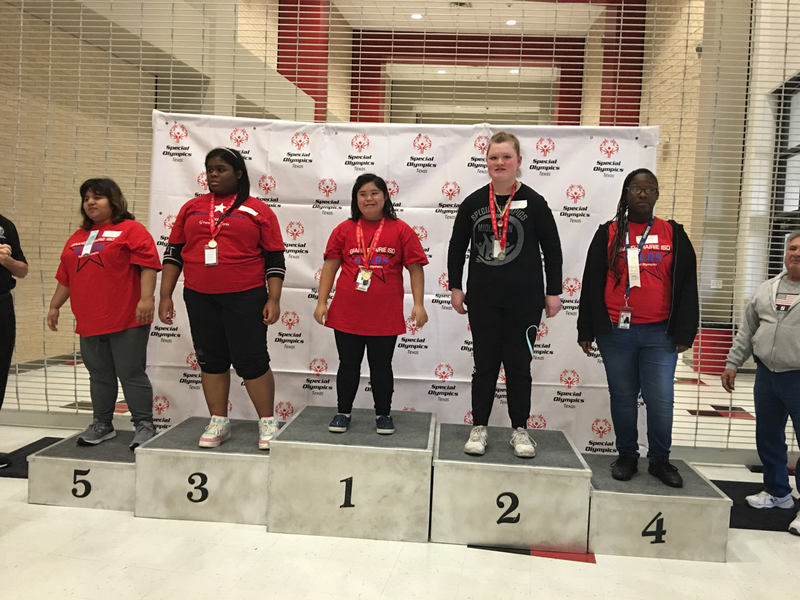 Hundreds of participants attended the Special Olympics Individual Basketball Skills Contest on Tuesday, February 26, 2019 at Cedar Hill High School. 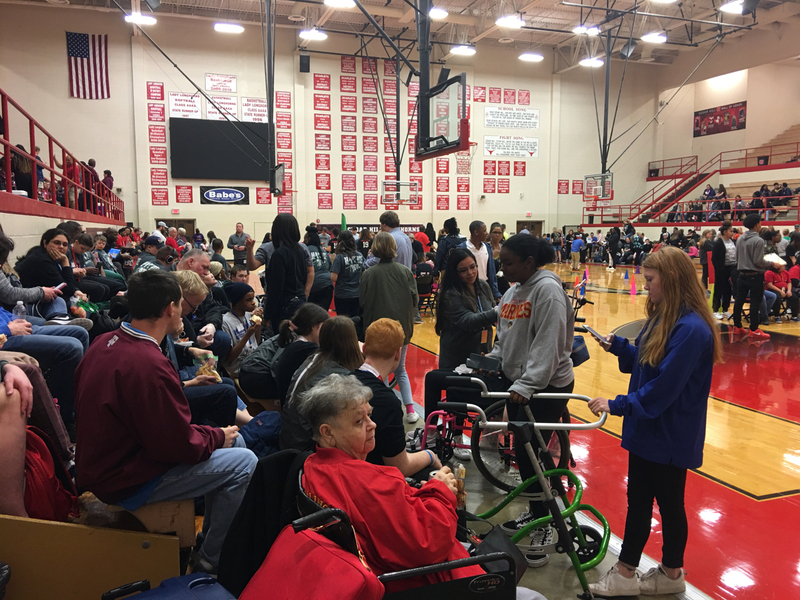 The event which is hosted by several Knights of Columbus councils started at 9 AM and concluded about 1:30 PM. 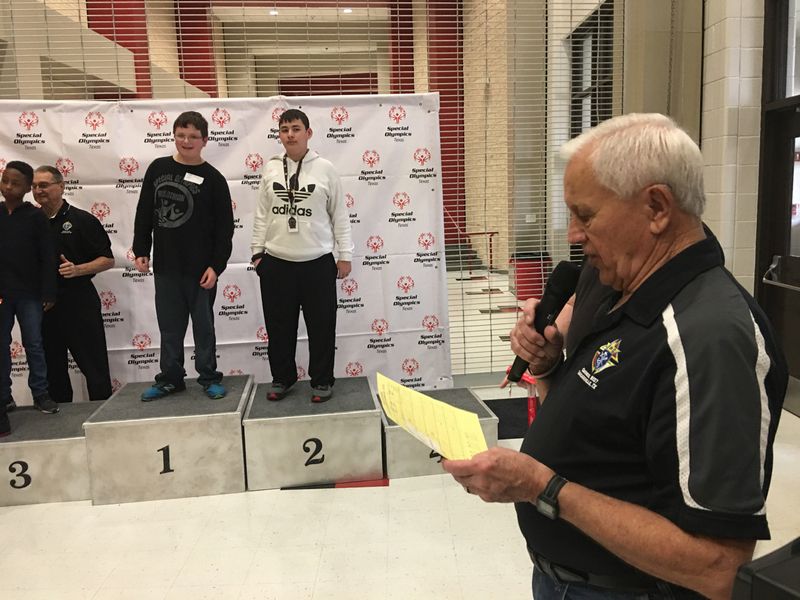 Special Olympics 2019 – MC Jim Kowalski conducts awards ceremony. 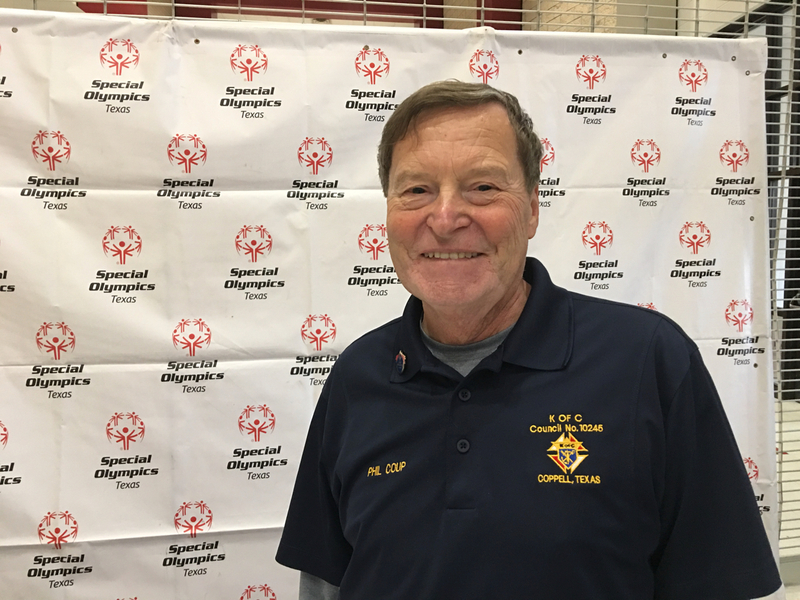 Special Olympics Diocesan Director Phil Coup directed the event along with Assistant Diocesan Deputy Jim Kowalski who served as MC of the Awards Ceremonies. 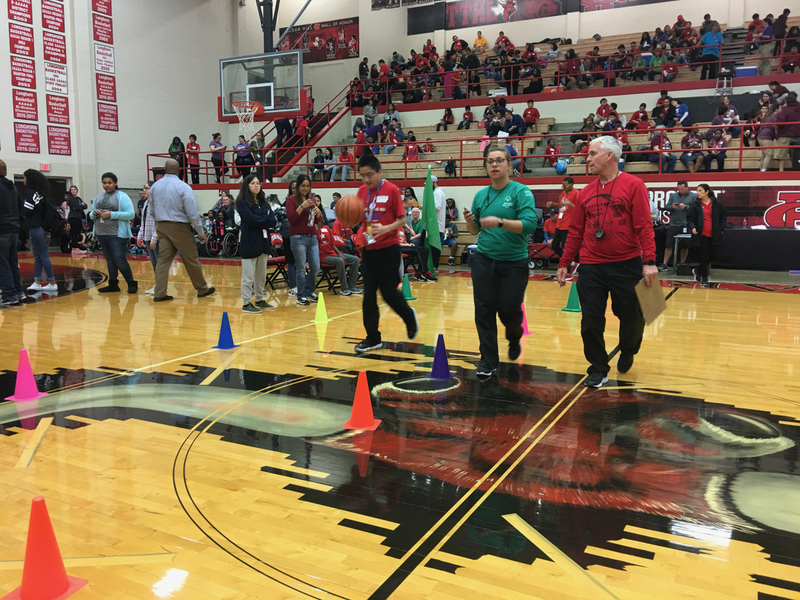 They were assisted by several knights from Duncanville Council 8157 including Frank Salazar, PGK; Jeff Miller, DGK; Hector Lopez, Ken Rarick and Jorge Ruiz. 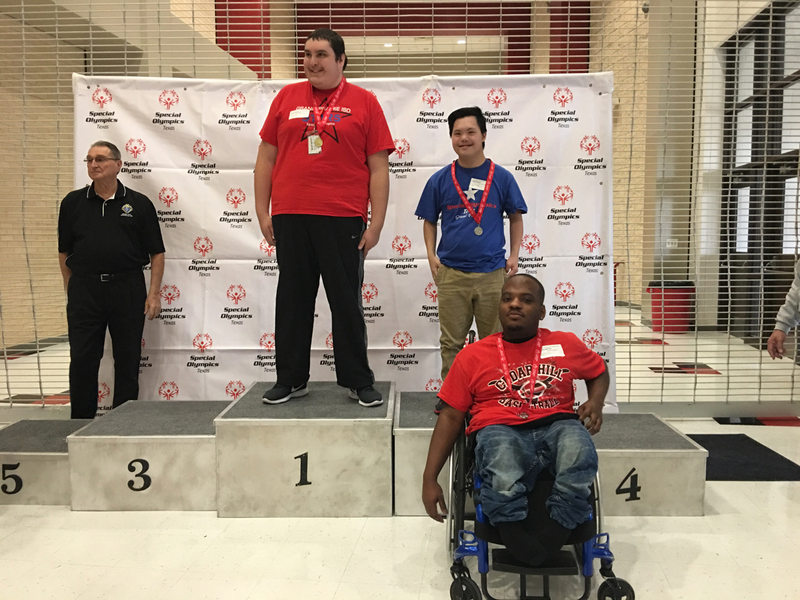 Also on hand were John Stelte from Council 11862 and Martin Warborg from Council 12300. 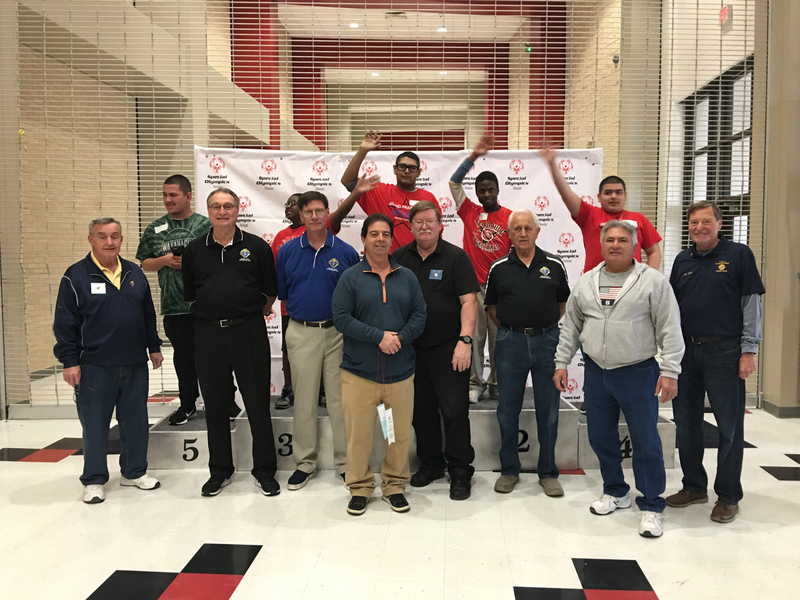 Front row: Martin Warborg, Ken Rarick, Jeff Miller, Hector Lopez, John Stelte, Jim Kowalski, Frank Salazar, and Phil Coup.